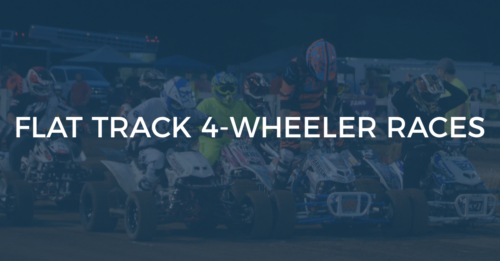 The Flat Track 4-Wheeler Races will take place at the Smith County Ag Center on Thursday, July 5, 2018. Registration • 4:00 – 5:30 p.m. Practice • 5:00 – 6:00 p.m.
Riders Meeting • 6:00 p.m. Racing Starts • 6:00 p.m.
All participants should enter at Gate 2. ALL vehicles must have numbers a minimum of 6 inches high with 1/2 inch-wide stroke. ALL numbers and backgrounds must be of contrasting colors such as white/black, yellow/blue. ALL ATV’s must have numbers on front and rear of vehicle. ALL ATV’S MUST have a tether-cord kill switch to participate. Over-ankle boots, long sleeve shirt, long pants, gloves, helmet, and goggles are required to practice or race. DUE TO INSURANCE REQUIREMENTS Chest protectors and long sleeves will be encouraged. Rules are subject to change on the night of the event. There will be 33 classes. ALL ATVs MUST HAVE KILL SWITCH. 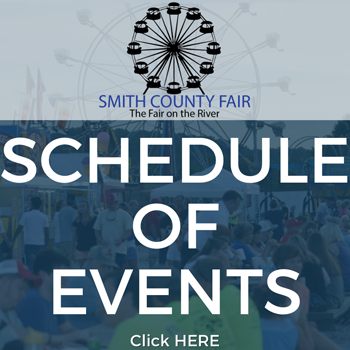 For more information, contact Chad Crane at 931-265-1840. You can read the race rules at www.racetn.com.